Which iPhone Is Best For Photography? Are you crazy for photography with iPhone? 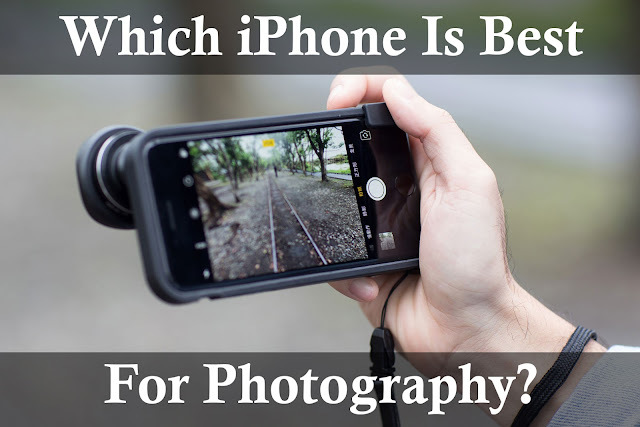 Want to know which iPhone is best for photography and why? If so, the following article is for you. Here I am going to discuss which iPhone has the best camera feature and why you should buy it. However, if you are thinking of upgrading your old iPhone with the best camera iPhone then you should keep in mind what would be better to do with your old phone? Definitely, you should sell iPhone online and make a generous amount of cash in return. That earning you can use in buying your new desired iPhone. The Apple iPhone is the most innovative and versatile smartphone across the world. It features almost everything that you want in a dream phone. One of the biggest things an iPhone has is camera that is offered for taking decent photos. Experts say that iPhone camera is what makes the iPhone perfect for photographers of all levels. For those who simply want to catch a quick memory to share with others, the built-in camera will do just fine. Nevertheless, the iPhone camera is also blessed with advanced capabilities (panoramic shots, close up shots, dual-tone flash shots, and HDR photos) that enable any modern photographer to captures any scene anywhere. Apple continues to make improvements to the cameras found on its newest products, and in recent years it has added DSLR lens, optical image stabilization, and portrait lightning which make the iPhone camera is the best. The Apple iPhone X is a real masterpiece that has the best camera out of any other smartphone currently on the market. Though it holds a similar dual-12 MP camera (wide + telephoto) as the iPhone 7 and 8 Plus, the only difference which makes it superior is that the telephoto sensor of the iPhone X has been updated with optical stabilization and new wider f/2.4 lens- that means even in darker conditions you can be sure that your photo will look superb. However, the wide-angle sensor has the same f/1.8 lens. Similar to the iPhone 8 Plus, the X model features Sony Exmor RS sensors which ensure the wide-angle camera has a 1.22 µm pixel size and the telephoto camera holds a 1.0 µm pixel size. The new iPhone X uses a new A11 chipset and this makes the phone camera capable of taking real-time image and handling motion analysis (body and face detection). The X model camera also has deep trench isolation technology to provide deeper pixels shots, as well as, offer superb performance in AR. Here are some advanced capabilities you can use in the iPhone X to capture the best eye-catching photos. Are you photographing in a light place or with little at all? No need to worry, you just need to use the option of panorama mode. The iPhone X captures 180-degree panoramic photos and it can go up to 60MP or 15,000 x 4,000 pixels. You can take both HDR and telephoto panoramic shots which possess good colour rendering, great stitching, while they don’t have any artifacts, so the captured shots look impressive. The Grid is one of the most significant tools for photography on the iPhone. When you use this mode, the screen is divided into three equal parts using two horizontal and two vertical lines on the phone’s screen. So, you can easily focus on the subject of the photo (Rule of Thirds) while keeping the horizon straight. The iPhone X supports quad-LED dual-tone flash as well as slow-sync flash. It makes you able to capture a shot which looks so natural and not as vibrant as with regular flash image. The reason is that this flash capability allows some of the ambient light and keeps the shutter open for a bit longer while you take a shot. The Burst Mode works really amazing whenever there is unpredictability or movement inside the scene. You can take a shot of any movement around you, for instance, it may be people moving, a child playing, or a flock of birds, etc. All you need to hold down the shutter button for a second and your iPhone will start capturing photos one after another. The day-light camera quality on the X model is really great. The High Dynamic Range (HDR) tool combines different exposures of the same photo to create a better-exposed shot. With the use of multiple frames, HDR mode helps you capture a great image with low noise levels, especially when photographing landscapes. In short, the iPhone X is absolutely worth to buy if you have passion regarding photography. Although it’s the most expensive smartphone, you can sell iPhone online that you no longer want to use and make some money to invest in the new handset. If you are a lucky owner of the latest iPhone X or iPhone 8, it’s time to buy the best wireless charger. This is a must-have accessory that you must purchase immediately after you get your new iPhone. With a useful wireless charger, you will be able to charge your beloved iPhone at any place where there is no electricity to charge up. So, here is a list of the best 5 wireless chargers which will keep your iPhone X or iPhone 8 going and going and going…. Do you want to save money on buying an iPhone X or iPhone 8? Refurbished mobile phones are very popular to those who can’t afford the expensive prices of the latest smartphones. These phones are a lot cheaper than brand new phones. So, you can easily get hands on your favourite iPhone X or iPhone 8 on a tight budget. Here’s what the meaning of refurbished phones in actual. Many used iPhones or other branded smartphones returned to the manufacturing companies after a period of use due to whatever reasons. Probably their owners did not find them the best match to their likings or perhaps these phones have any fault on the hardware or software. Such mobile phones have been fully renewed and all kinds of damage have been fixed. They have been refurbished to the brand new condition. As these were used, they are sold at discounted prices. Want to buy second hand iPhone 6? Look for an authorised smartphone reseller online and avail the best cheapest deals on refurbished or second-hand iPhones. In an effort to catch up with their high street rivals, Apple has brought revolution in the wireless charging market with the release of the iPhone 8 and X. Both latest models support wireless charging technology, the most popular one is called Qi. The Qi-enabled wireless chargers enable you simply place your iPhone onto a charging pad in order to charge it up quickly. Although these kinds of chargers have one wire to plug the device into the wall, there are no wires at all between the charging pad and the device that you are charging. All you need to do is to attach a tiny clip, accessory or case (depending on the brand of charger you choose) to your iPhone and lay it onto the charging mat. These pads can help reduce all that clutter down to just one wire and a small stylish pad or mat. These chargers are simple to use; all you have to do is to put your iPhone device onto the pad/mat and it should start charging. One of the best things about these pads is that you can charge more than one devices at once. 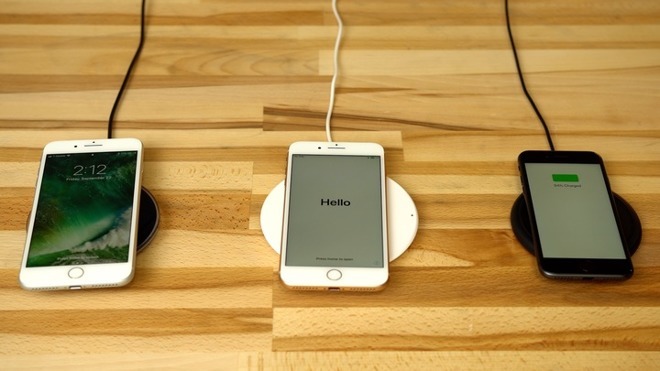 Most of the iPhone wireless chargers are able to charge up to three devices (iPhone, iPad, iPod etc.) at one time. Once this charger is plugged in, just place your Apple device onto the pad and it should charge as quickly as it would with its standard charger. Experts say that the iPhone 8 and iPhone X get recharged 17% in 30 minutes when you use a Qi-compatible Samsung Wireless charger. That means wireless chargers can recharge these newest Apple devices faster than wired chargers. Another advantage of wireless chargers is that they are very portable; some charging pads designed for travel even roll up. This means that you don’t have to take all your individual chargers with you when you go away. Because there are no wires, you can still use your phones whilst it is charging without any danger of getting an electric shock; as long as you keep it close enough to the mat to allow it to continue charging. The mats are also very durable and should last for years if treated with respect. Here are the best 5 wireless chargers for your precious iPhone 8 and iPhone X. They all are Qi-compatible which means that they are not just for your iPhone but you can use it for any other smartphone. Now, let me tell about their specifications and price so that you will be able to choose the right one for you. This wireless charge pad is built to last because it is made by Mophie, which has a non-slip TPU coating and it works with all types of cases. This sleek and lightweight charging pad provides your iPhone 8 or X an extended lifetime, supporting 7.5-watt charging. It is available at $43.12 for sale at Amazon. The RAVPower is one robust wireless charger, suitable for the iPhone 8, iPhone 8 Plus and iPhone X. This charger will never leave you to worry about your iPhone battery life as it charges Apple devices at 7.5 watts and Samsung smartphones at 10 watts. One more thing that makes the RAVPower charger a good option is that it prevents your mobile devices from overcharging, overheating, and overvoltage etc. You can buy it for just $29.99 from Amazon. Anker offers a solid wireless charging product that won’t disturb your budget. The small-size Anker PowerPort Wireless 10 charges your iPhone X and iPhone 8 at regular speed. It supports charging speeds up to 10 watts on compatible phone devices, which is really great. Nevertheless, you need a Quick Charge USB adapter to get the best performance of the Anker’s charging product. It is available at Amazon for just $21.99. I am sure the Qimini Pocket Wireless Charger is one that you would love. It is a pocket-friendly portable charging pad, typically comes with an integrated USB cable that folds away inside. If you are on the go, you can plug it into your laptop or something like that. It supports charging speed up to 5 watts for both iPhone 8 and iPhone X. The recent price of the thinnest wireless charger is $59.99 at Amazon. The Seneo Qi wireless charger is an affordable option if you are looking for good wireless charging device for your iPhone X or iPhone 8. It is recently sold at just $19.99 at Amazon. It recharges your Apple device at regular charging speed. As well, it is built with LED lighting technology that informs you when your iPhone device is fully charged. It is available at Amazon with a price of $19.99. If you consider yourself an addict to your smartphone, unable to leave your phone even when you are visiting with family and friends, there are apps that can help. App developers are now providing specialized applications that were designed to stop usage of smartphone devices. These apps will track and limit your dependence on your mobile device, helping you to focus more on what’s important, be it work, family or friends. Find a few app selections below to start the process. This interactive application works to assist users to keep track of usage. The app has a ton of features that can be customized as well as functionalities that will help you break the addiction to your mobile device. Set and change daily usage goals as you see fit. View usage of your device and find patterns along with information found in the history section of the app. There are also notification blockers, screen dimming, and space-time to help with usage needs. The features of this app can truly help Android users break their addiction. Create a personalized program based on your usage, including personality and habits. Monitoring can be used to determine patterns, tracking progress over a 60-day time frame. Set goals for time spent on the device as well as a number of unlocks available. This is another great option for cutting down on screen time. With this app, users can easily track phone and app usage in real time. Total screen unlocks, weekly and daily summaries can be accessed. Set alerts and breaks when the device is overused to help break the smartphone addiction. QualityTime tries to make the usage of the app fun and engaging. The app includes an easy to navigate timeline for learning more about regular usage. Create a device usage alert which includes screen unlock and usage time, including a usage time alert for apps. Easily set an alert so that you can shut off an app after too much screen time. Plan scheduled breaks via the app so that you can take a break to spend less time on your smartphone device. If you really need help staying off your smartphone device, this app is the right option for you. The application was designed as a powerful option to helping an individual to spend more time with family and friends and less time on their device. While using the app, the device can still be used to make, or answer calls as well as access widgets, even if the screen has been locked. This app is an excellent option for individuals who need to stay off their device and focus on work. With the app, users can lock themselves out of the device for a set time period. Stay focused by being unable to access games or social media, spending more time focusing on work or the people around you. Using a smartphone too much often results in an individual being called anti-social. With the new Anti-Social application, Android owners will have access to useful tools that will help to manage, block and control the usage of the device. Normal usage is better understood while distractions are minimalized. The app uses less battery life while still providing quality data for users. 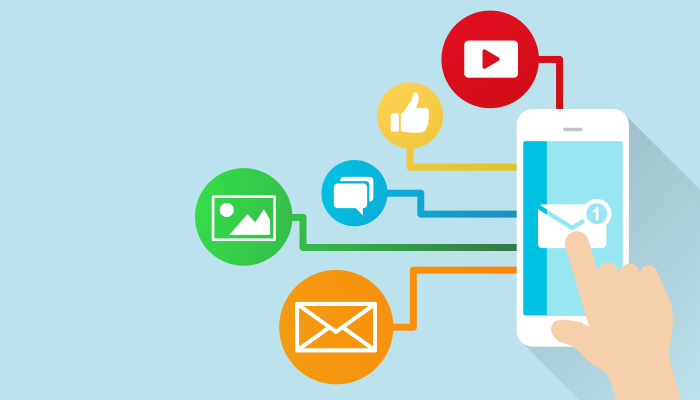 By using any of the above apps, you will be able to spend less time on your phone, being more productive at work or spending quality time with family and friends. Give an app a try to see your usage and how you can cut back on screen time usage. Charles Watson is a freelance writer who specializes in health and addiction. Currently, he is publishing work for Sunshine Behavioral Health. He can be reached directly on Twitter at the handle @charleswatson00. As the news about hacking continues to come in, we are increasingly becoming concerned about the privacy of our digital devices such as Smartphones. This will ensure that our private information stays safe and can’t be reached by hackers. Luckily, most Smartphone manufacturers are coming up with extra security options for smartphones. In fact, most Smartphones are currently being made with fingerprint scanning technology. But does it really work? Since we have been using pins for many years, it’s very easy to remember them. Apart from pins, there are other ways that we can use to secure our phones. Although most experts agree that pins are the most secure, at times they can inconvenience us. For instance, it’s cumbersome if you have to unlock your phone using a pin several times a day. Here are some other options that you can use. Fingerprint- While the design of your phone can make this method hard to use, it’s very fast hence you just need to adjust a bit to start using it. Pattern- This method involves tracing a line through some dots. Although it’s convenient some people have claimed that it’s not that secure. Face- This is the newest method that involves unlocking your phone using your face. This is less secure since other people have the same features as you. So they could easily use their faces to unlock your phone. Iris- This process uses your phone’s sensors to identify you before unlocking it. While it’s a very secure process, it does not work well where there is low light. It also has trouble scanning through your glasses. Fingerprint scanners have been considered high spy level for so many years, but in the recent times, they’ve become quite ubiquitous. However, they’ve been quite useful in the identity and the law enforcement departments. The scanning process usually begins when you put your finger on a glass plate and a CCD camera captures the image. The scanner has its own light used to illuminate the ridges of the finger. When an image has not been captured the scanner adjusts itself and tries to scan it again. For more details check out this link. The scanner process usually ensures that there is a clear image and rejects the scan in case the image is too dark or too light. Instead of light, the capacitive scanners use electrical light. Every cell in their sensor has two conductor plates protected by an insulated layer. Their image is then amplified by the varying output and input voltage. The most recent scanner is known as the ultrasound scanner. This hardware has both reliever and ultrasonic transmitter which transmit the pulse against the finger to be scanned. Rebound or absorption occurs depending on pores, ridges, and other fingerprint details. This provides a 3D technique that makes it more secure than other types of scanners. One main worry for the general public is the ease of hacking the fingerprints. Although hacking fingerprints seems impossible, it’s not. It’s been reported before that it only took 5 minutes for a single person to fake fingerprints and broke into the phone. There are some hackers who use a 3D printed mold to create fingerprints from the stored details. So despite firewalls and security, fingerprints can still be stolen. As compared to the passcodes and pins, you cannot be able to change your fingerprint. Currently, there is over 134 million fingerprint record between the department of defense and Homeland security. Although these records are usually used for verification, they could easily trigger a fingerprint printer. As more and more fingerprints are put in the database, some information might be leaked just like the passwords, credit card information, and social security numbers. Smartphone scanners are, therefore, not as secure as we are made to believe. As a matter of fact, some researchers have created master fingerprints that can fool these sensors. Although full human fingerprints are hard to fake, most phones finger scanners only read partial fingerprints. According to Dr. Nasir Memon, if you could come up with a magic glove with master print, you could access up to 40 to 50 percent of smartphones within five tries. Cell phone manufacturers are, therefore, looking into anti-spoofing techniques that can detect the real finger versus the fake one. Another way to lower this risk is to add a larger print sensor. Thankfully, some of the most recent options are not easy to hack. More so, when using more sensitive apps such as mobile payments you can simply turn off fingerprint authentification. As we strive to boost the security of our devices, we are finding ways that are still far from the real thing. While fingerprint is one of the best options, it’s a bit risky. When you buy your next Smartphone you have a choice to go with the option that you believe is secure. If your beloved iPhone 7 or 7 plus is experiencing an issue or you just have cracked your iPhone’s screen, all you need to do is calm yourself down and look for a reputable iPhone repair shop that has expertise in fixing your iPhone in a safe yet cheap manner. 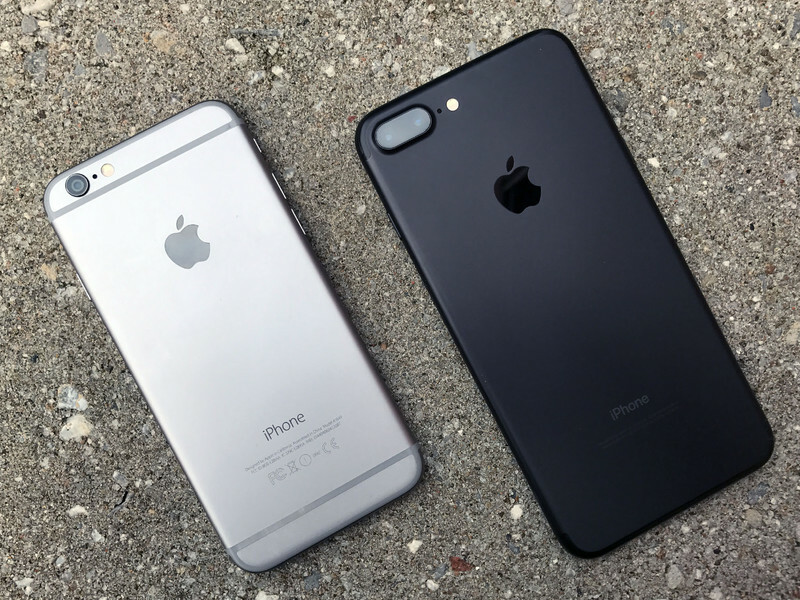 The iPhone 7 and 7 Plus are beautiful and wonderful mobile phones to own but the fact is that just like any other iPhone models, they are not damage proof at all or prone to facing all sorts of issues at some point. The repair services come in handy for such situations especially in cases where the warranty does not cover the issues at hand or it is long over. You can only get the best repair iPhone repair services from the best mobile phone repair shops thus making it important to look for the best shop to handle the iPhone issue that you have. Have you dropped your iPhone 7 or 7 Plus and picked it up only to find out that its beautiful screen is now looking like something out of a spider’s web? Or, have you picked up your cherished device only to see that your poor iPhone’s touchscreen is shattered? I am sure it would be a moment full of sadness, frustration, and annoyance. Well, be relaxed! iPhone screen repairs are one of the most common repairs for iPhones at the present time. The best thing to do in that situation is to bring your handset to the best iPhone repair shop so that you will get the best ever iPhone 7 screen repair services to get it back to life. How to Choose the Best iPhone Repair Shop? Even if the Apple iPhone 7 or 7 Plus is one of the most expensive phones these days, you still would not want to spend too much on iPhone repairs. So, the next best thing to do, if you can’t fix your iPhone’s problems by yourself, is to look for a good, trustworthy, and affordable online repair shop for iPhones. Having your iPhone 7 or 7 Plus repaired by the online shop is practical and easy; sometimes you can even get your phone back in less than 24 hours. But because of a large number of iPhone repair shops on the web, it can be quite difficult to choose the one that won’t just run out with your hard-earned money. Don’t take your precious iPhone to just any online repair shop. You should consider the following factors to choose the shop that is worth your time and money. Never choose the first option when it comes to iPhone repair. Go online and do a detailed research on mobile phone repair shops. There are lots of phone repair shops offering iPhone repairs, however, you should look for the one that is capable enough to fix an iPhone in a way that it will get back to its original condition. They should have the expertise and tools to repair your iPhone safely. Visit some top-rated shops online, check out their profiles, expertise, history, and work experience and compare them. Don’t forget to read out the comments and reviews on the shop’s website. It’s good to know what others say about their services, so you have a solid basis for your decision. Another factor that you should need to consider is that you should check out the services that the mobile repair shop offers. Check if the repair shop accepts all models of iPhone, as well as offering the specific repair service that you require. No all online shops can fix all kinds of iPhone issues for all iPhone models. A mobile repairer who can work on different devices is always a great choice, therefore, make sure that you call to ask them if they accept job orders for your iPhone 7 or 7 Plus. Be sure you send your iPhone to a secure and trustworthy site. Check for any certifications or credentials if the technicians of a repair shop have or not. Prefer to look for the repair centres that are approved by smartphone manufacturers such as Apple Inc. Their technicians are highly qualified and well-trained in fixing all minor and major problems with iPhones. As well, they use couriers from trusted shipping companies to offer their in-house services. A very sure question that you should ask is whether iPhone repair company offers a warranty or not. Any good repair company definitely warranties their work; generally, 90 days warranty period is offered for any iPhone repair, such as iPhone 7 plus screen repair. So make sure your selected repair shop is offering a reasonable warranty. When it comes to iPhones, there is a diverse range of spare parts available on the market. Some of these parts are manufactured by Apple, while other parts are produced by independent manufacturers. These replacement parts are relatively different in terms of quality, performance, and price as well. Therefore, you need to choose a mobile repair shop that uses original parts to replace the damaged parts of iPhones. With genuine parts, you will be sure of getting perfect repair services and will not have any problems in the future. The price should always be a consideration while searching for the best mobile repair shop. It needs to be competitive and should come with a decent warranty of 90 days or more. In addition, make sure you get a detailed written price quote without any hidden charges. Never opt for the first price you get for iPhone repair. Check out the prices of different shops and compare them to choose the best one. I bet you can’t image a single day without your beloved iPhone 7 or 7 Plus because you depend too much on it to do anything. So, if you are looking for iPhone repair shop for fixing your damaged iPhone, you must contact the one that will repair your phone in a very short time. The right repair technicians understand that time is of the essence, therefore, they usually offer a turnaround of 24 hours for getting your iPhone device repaired and back in excellent condition. Like most of the other people, if you don’t have time to visit the repair shop for iPhone repairs, it is recommended that you should search for an online iPhone repair centre that will offer their services in different ways, such as email or home services. Prefer home services and save you time and money. This kind of repair services allows you to book a repair online in the comfort of your home and then send your phone device to the selected shop via courier service. The repairer will repair it as soon as possible and send it back to you at your home via courier. 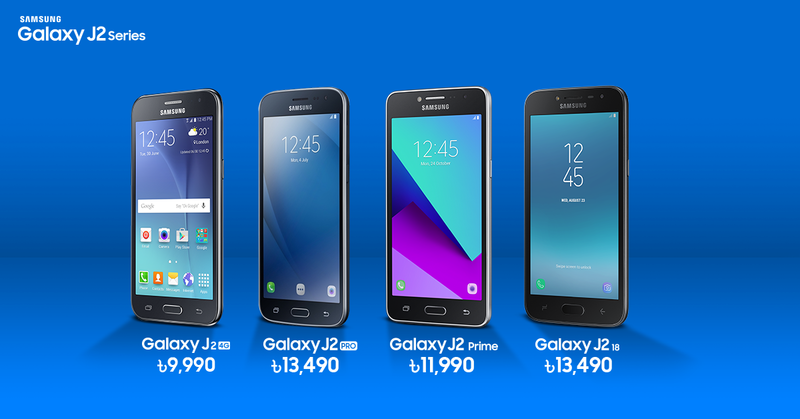 With the introduction of 4G LTE in Bangladesh, Samsung is trying hard to compete with low cost Chinese Android phones in the market with numerous J2 series handset, all equipped with 4G. The 4 handsets are, Galaxy J2 4G, which was 1st released in 2016. It's priced 9999 taka or $120. Then the next on the list is Samsung Galaxy J2 Prime from 2016. It's priced at 11990 taka $140. 3rd phone, the Samsung Galaxy J2 Pro which also was released in 2016 having upgraded operating system and bigger RAM. The price of the handset is 13490 taka or $160. Top of the line is 2018 version of J2, Samsung Galaxy J2 (2018). Android 7.1 running phone's asking price is also 13490 taka or $160.